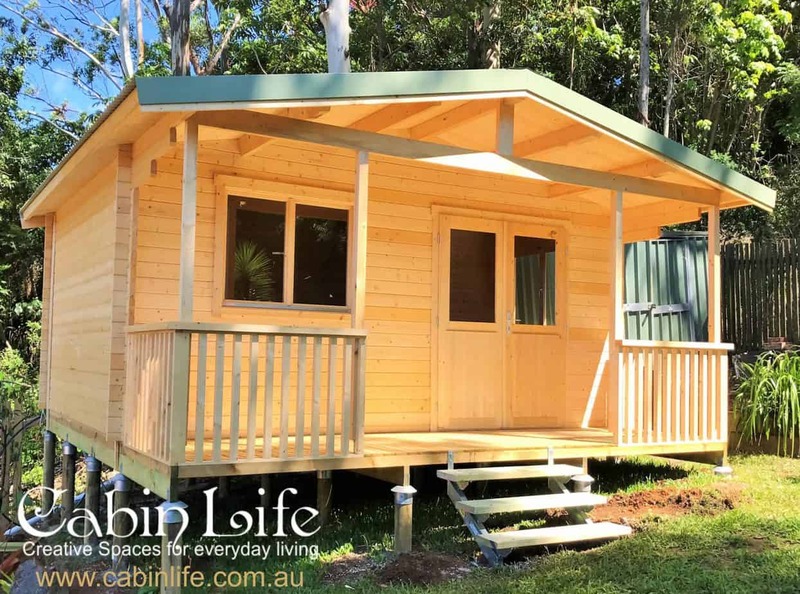 The “Haven” cabin kit is definitely our most popular designed cabin as it lends itself to a variety of uses. 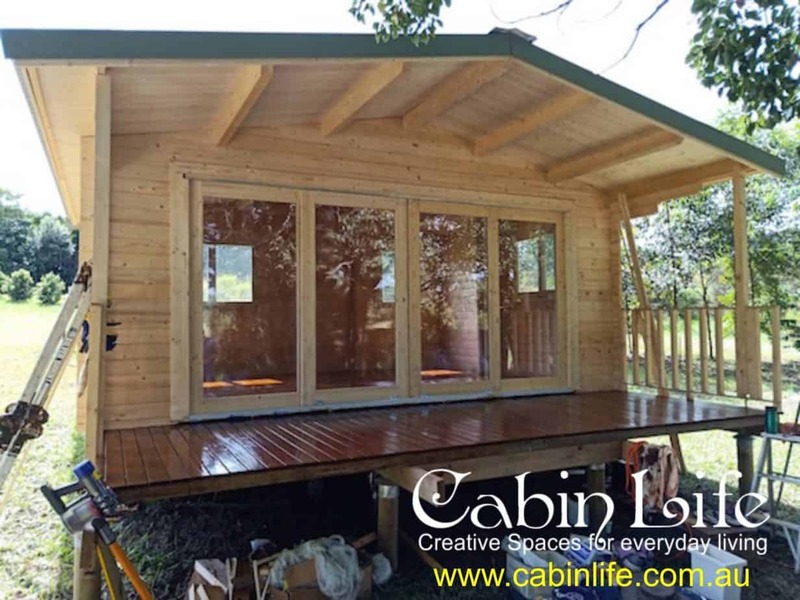 Some of our clients use this cabin kit as a home office with a toilet and hand basin whilst others have used it as an art studio and used the bathroom space just for storage. The “Haven” is also great for a teenage retreat as there is enough room for a toilet, corner shower, vanity and a kitchenette. 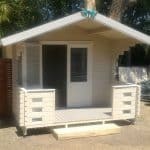 It also comes with a 1.5 metre covered verandah. The Haven Cabin Kit has several Variations Possible. 1) Choose between our most popular 44mm size cabin for $12,990 or upgrade to our 70mm thick cabin for just $1000 more. 2) The Haven now has an option for 3.9m wide Glass Opening Front Sliding Doors. See the images in the slider above or the video’s below. For a limited time – No additional cost for the glass sliding doors. 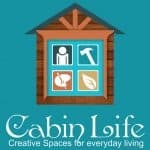 Enquire About The Haven Cabin for More Info to be sent via email. 136mm x 70mm, Full Span for N3 wind rating. The standard haven Kit comes with 3 Double Glazed Timber Windows. The ‘New Haven” cabin has 2 Double Glazed Windows plus the 3.9m Glass Sliding Door Opening. “Double Glazed” Half Glass French Door with handles and locks is included in the standard Haven package. The ‘New Haven’ cabin has 2 Glass Sliding Doors with 2 Fixed Glass panels totalling a 3.9m Full Glass frontage as a choice with no extra cost. 21mm solid treated timber floor at 5 metres wide x 1.5m deep with vertical verandah rails as main per photo.